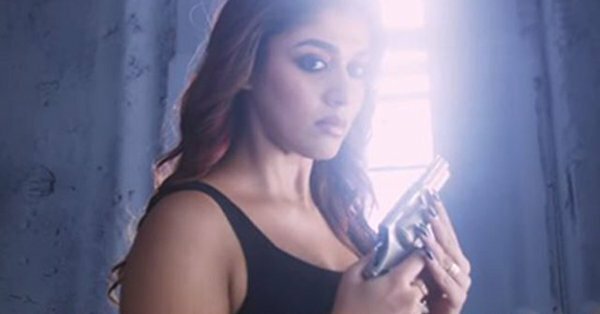 A Double Treat from Nayantara! SIBY JEYYA December 12, 2018 10:00 IST A Double Treat from Nayantara! Thala Ajith who had delivered a hit last with his action thriller Vivegam directed by Siva had joined hands again with him, for the fourth time, with Viswasam, the rural entertainer, and his 58th movie again bankrolled by Vivegam producers Satyajyothi films. Recently, by early morning 3:40 am, Satyajyothi films had released the impressive first look poster of Viswasam as a surprise treat for the die-hard fans of Thala Ajith, and the stunning poster features the dual avatars of Thala Ajith, one with his trademark salt and pepper look and another with black hair. It has been said that one of the Ajith's character will be based in Theni in Tamilnadu, while the other will be based out of Mumbai, and the movie will have ample goosebumps moments with Ajith rocking always in double action flicks. Now, some reports say that Nayantara who is doing the female lead will also be seen in a dual avatar. Whoa... Hold your horses... This is just for a song sequence. Viswasam, which has music by D Imman, is all set to release on Pongal 2019.